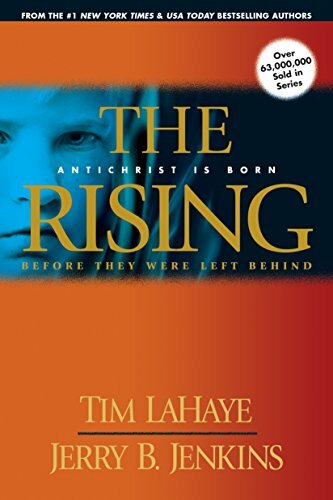 The Rising begins a new Left Behind series that will give you a glimpse into the lives of your favorite characters before the Rapture. Have you ever wondered what life was like before the Rapture for Rayford, Irene, and Chloe Steele, Bruce Barnes, Buck Williams, and Tsion Ben Judah? Plus, see why Viv Ivins plays such a pivotal role in Nicolae Carpathia’s life. What were the events surrounding Nicolae’s sudden rise to power? How did he become filled with evil? You will find all these answers and more in this exciting new series!In The Rising, Marilena Carpathia has only one dream: to be a mother. So when a mysterious clairvoyant promises the fulfillment of this dream, Marilena does not hesitate. Through genetic engineering and the power of the prince of darkness himself, Marilena is about to become a chosen vessel, one who will unknowingly give birth to the greatest evil the world has ever known.Halfway around the world, God’s plans are subtly being carried out too. Young Ray Steele is determined to avoid one day taking over the family business. Instead, Ray sets his heart on becoming a pilot.Soon Carpathia’s and Steele’s lives will intersect. And good and evil will clash in an explosion that will shake the world.The eternal battle for souls has come to earth. The world hurtles toward the countdown to the Rapture.